The City of Miami Gardens presents “Women’s Impact Luncheon,” featuring quest speakers Arian Simone, Rashan Ali, Stephanie Mills and Kristin Campbell. 11 a.m.-2 p.m. FIU’s Kovens Conference Center, 3000 NE 151st St., North Miami. Details: https://bit.ly/2EvwMoe. 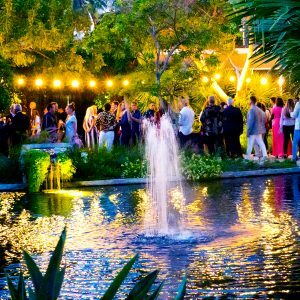 The Miami Beach Botanical Garden hosts its “Garden Tour VIP Cocktail Party,” a docent preview of the flower show. 6-8 p.m. 2000 Convention Center. Details: https://bit.ly/2EvoKvv. The Miami Heat host the Cleveland Cavaliers. 7 p.m. American Airlines Arena. Details: https://bit.ly/2H1arka. Coral Gables Art Cinema screens “Cats Don’t Dance,” during Miami Film Festival. 7:15 p.m. 260 Aragon Ave. Details: https://bit.ly/2Ed8NsI. The New World Symphony presents “Orchestra Concert: Mendelssohn and Schumann.” The music of two of Germany’s most famed Romantics alongside Minnesota Orchestra Music Director Osmo Vänskä and celebrated American-Israeli pianist Inon Barnatan. 7:30 p.m. 500 17th St., Miami Beach. Details: https://bit.ly/2XmChwW/. 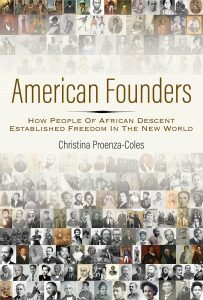 Books & Books in Coral Gables hosts Christina Proenza-Coles’ “American Founders: How People of African Descent Established Freedom In The New World.” 8 p.m. 265 Aragon Ave. Details: https://bit.ly/2U7hk7h. Greater Miami Chamber of Commerce hosts “Employers & Millennial: A Career Readiness Conversation.” 8 p.m. 1601 Biscayne Blvd. Details: https://bit.ly/2T2aH9J. The Adrienne Arsht Center presents “Jazz Roots: Reflect + Respond = Now.” 8 p.m. 1300 Biscayne Blvd., Miami. Details: https://bit.ly/2Eestfy. The North Beach Bandshell presents “Orchestra Miami: Beethoven on the Beach.” This year’s concerts feature an all-Beethoven program. 8-10 p.m. 7275 Collins Ave., Miami Beach. Details: https://bit.ly/2VcJTA6. Jazz in the Gardens Music Festival presents its opening night party featuring Sugarhill Gang. 8 p.m. Hard Rock Stadium, 347 Don Shula Drive, Miami Gardens Drive. Details: http://www.jazzinthegardens.com/night/. O Cinema Miami Beach screens “Alien: 40th Anniversary,” during Miami Film Festival. 11:59 p.m. 500 71st St. Details: https://bit.ly/2TgXf0R.